I try to visit Amritsar once every year to spend some time at the Golden Temple. Whether it is sitting on the marble banks of the temple tank (the city gets its name from this water body —Amrit Sarovar — or the sacred pool), listening to kirtans, praying within the bejewelled sanctum sanctorum, partaking in the langar, or witnessing the return of the night palki of the Guru Granth Sahib back to its resting place in the Akal Takht, I find that there is such sukoon here. Now, after my private preview of the Partition Museum that’s a work in progress, I have found one more reason to love the city, and to keep coming back. I first heard of the museum last year when its co-founder and CEO Mallika Ahluwalia came up to me and started chatting at a FICCI summit on the creative industries that we were both a part of. I had been talking on stage about the pop-up museums I had curated in the past in Vikhroli, Mumbai. Mallika shared that she was in fact building a permanent museum in Amritsar and invited me to visit, and so here I am, some months later, swirling a buttery kulcha around a plate of piping-hot channa at the famous Brothers Dhaba, while discussing love, life and partition narratives with her. Some hours earlier, I am awestruck as I encounter the imposing facade of the Town Hall, in which the Partition Museum will be housed once finished. Right now, a small section with four galleries is open to the public while the other rooms are getting ready. By the end of this year, the museum will expand to 10 galleries spread over two floors, a gift shop, an events space and an archiving centre. Amritsar’s powers that be have converted the entire area between the 19th-century Town Hall building and the Golden Temple into a pedestrian-only heritage district. The lovely cobbled streets have shops with uniform signage selling everything from turbans to jootis. There are public sculptures every few hundred feet, antique street lamps on the sides and giant LED screens beaming overhead. It’s a strange mix of Tokyo’s Shibuya Crossing and the streets of a European city like Prague, but it works. 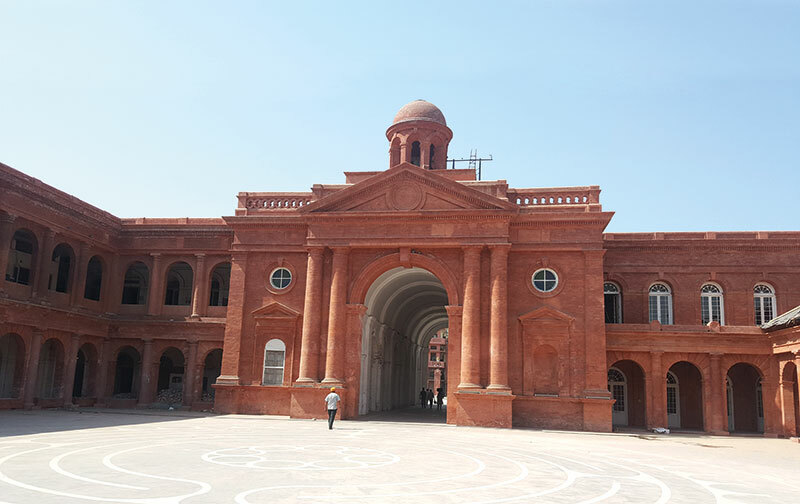 The walk between the Golden Temple, the famous Jallianwala Bagh and the Partition Museum is most enjoyable, and is one that I hope thousands of tourists take each year. This museum needs to be seen by all; Indians especially. It is actually so surprising that our country had to wait for 70 years to get a Partition Museum. The event was perhaps the biggest migration in human history, with around 15 million people affected. Unimaginable violence took place on both sides of the border. Lives were lost. Families were suddenly uprooted or torn into two. How does one even begin to contextualise and historicise such a seismic event? 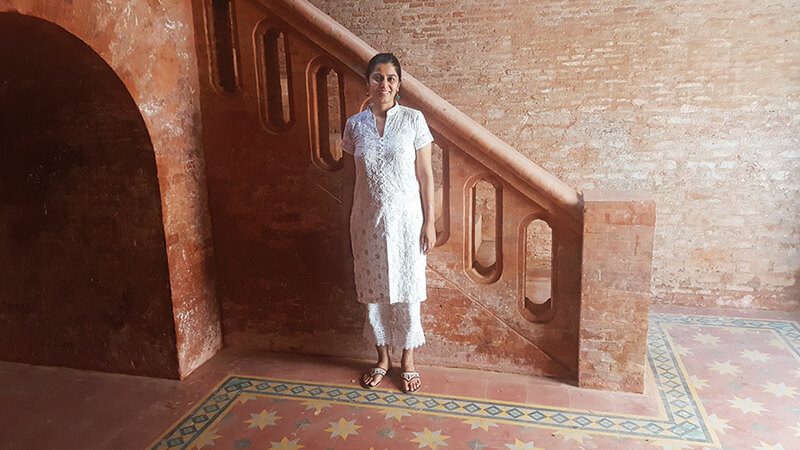 Mallika and her team have drawn upon many different methods to paint the landscape of partition for us, through the vantage point of its victims and also its survivors. Materials they have assembled so far include newspaper clippings, personal objects, letters, archival documents, jewellery, utensils, refugee camp cards and recorded oral histories. Many stories that the museum recounts are sad or tragic. There are digital flat screens all around, playing out personal accounts of loss narrated by Partition survivors, many of whom are now in their eighties or nineties. Other screens play performances such as Gulzar’s poetry recital about the loss of innocence, or news interviews like that of veteran journalist Kuldip Nayar’s with Cyril Radcliffe in 1971. We learn that Lord Mountbatten had given Radcliffe — who had never even visited India before — only five weeks to create the boundary line that would split the states of Punjab and Bengal! Surrounding these are blown-up newspaper clippings of the losses due to violence, or even torrential rains and floods, considering the Partition took place during the monsoon. In the centre of what is called the Hall of Migration and Refuge lies an installation of a well. This is in reference to the wells that so many women jumped into during the months of Partition, to protect their honour. I see a phulkari dupatta draped across one of the well walls. Mallika tells me that this has been donated by a Punjabi Mr Randhawa, whose aunt was told by her family to jump into a well to avoid being raped and killed — but she didn’t. She was rescued by a Muslim man and the dupatta is a testimony to the kindness and compassion that so many people across all communities displayed in the face of such terrible mayhem, chaos and trauma. I am drawn to two glass cases with two objects in them — a woman’s coat and a man’s briefcase. They tell the story of two separated lovers from Pakistan who were reunited in a refugee camp in India. These were the only two possessions they had with them when they met once again. They eventually got married. It is fitting that the last display room is the Gallery of Hope. This has stories of families like the Munjals of Hero Group, surrounding an installation of a tree of hope – made of barbed wire with branches that have pieces of paper on them. ‘Never again’ is written on one of the first leaves that I read. If only, I think to myself. If only. “We want this to be a people’s museum,” Mallika tells me as I order yet another lassi at Brothers Dhaba. I admire Mallika’s guts. With no training or background, this Princeton and Harvard graduate in public policy — who was the India lead for health systems design at the Bill and Melinda Gates Foundation before she decided to commit herself to the museum — just went full steam ahead along with her mother, author Lady Kishwar Desai, and other trustees. 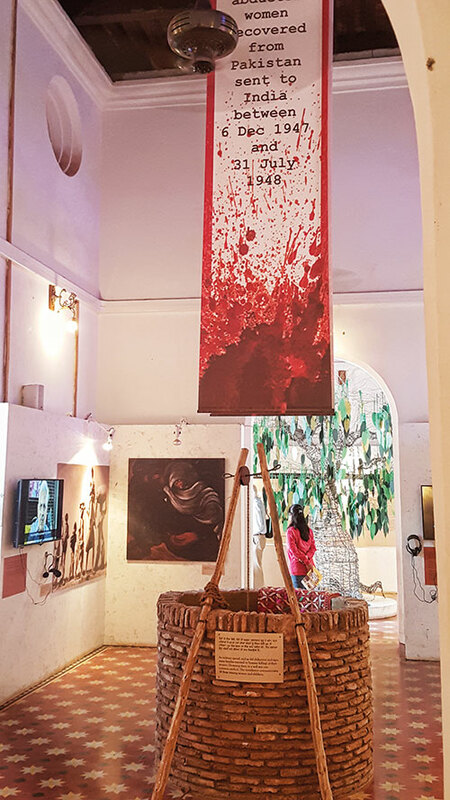 Now, with the 17,000 square feet of prime Town Hall space granted to them by the Punjab government, an increasing roster of corporate and individual donors, and some very inspired curation, their dream museum is fast becoming a reality. People are pouring in with their contributions. Some like HT Media, the Mittals of Airtel and adman Suhel Seth have given money. Others have given time for research and documentation, family heirlooms, stories from their past, valuable documents…. The Partition Museum that Mallika and her team are in the process of building gives an amazing backstory to this historical moment. As I leave the premises after my intense day there, I sincerely hope that even a fraction of the jingoistic ‘border-goers’ can visit, feel, and understand, so that we as a nation do not repeat the mistakes of our past.